Casinos. Showgirls. All-you-can-eat Buffets. Nightlife. Sewage ponds. All of these things can be found in Las Vegas, Nevada. That is, all of them can be found in Las Vegas except the last one on the list. To get to the sewage ponds you have to go to Henderson, which is a quick drive to the southeast of Las Vegas, about twenty minutes from the strip. But why on earth would you want to go to some sewage ponds when there are so many ways to experience debauchery and dissolution in Las Vegas itself? Birds, of course! (As Clare well knows!) 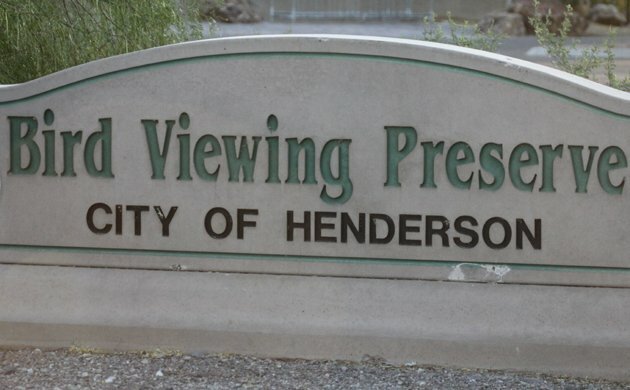 The City of Henderson, which must be run by very enlightened individuals, has turned a bland old waste water treatment facility into a birding destination known as the Henderson Bird Viewing Preserve, which is well worth a visit should you ever find yourself in southeastern Nevada. 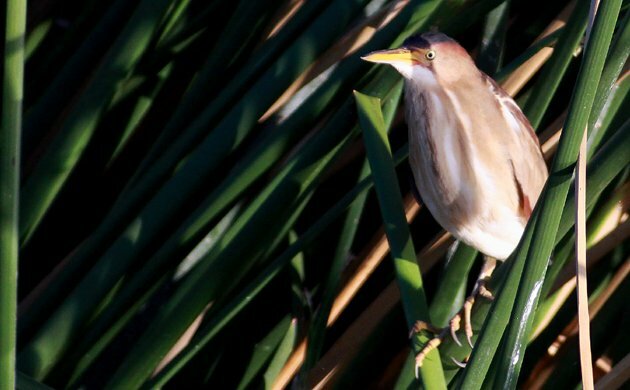 The freshwater ponds provide an oasis in the desert and thirsty desert birds take advantage as well as waterfowl and shorebirds that would never be present in an environment so inhospitable for them if it weren’t for the water. 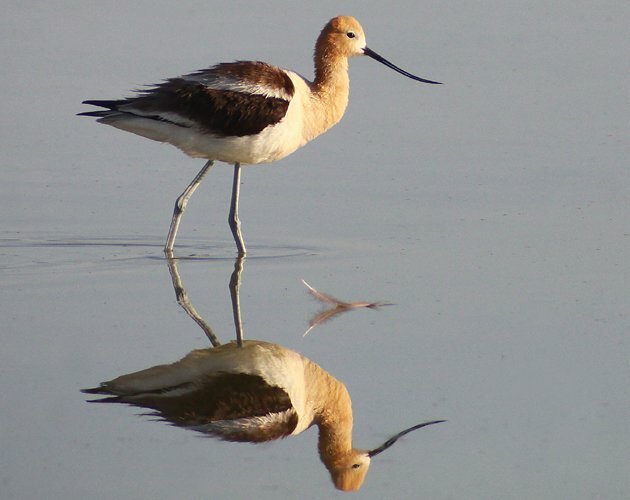 You would certainly not see an American Avocet in the middle of the desert without water being present. 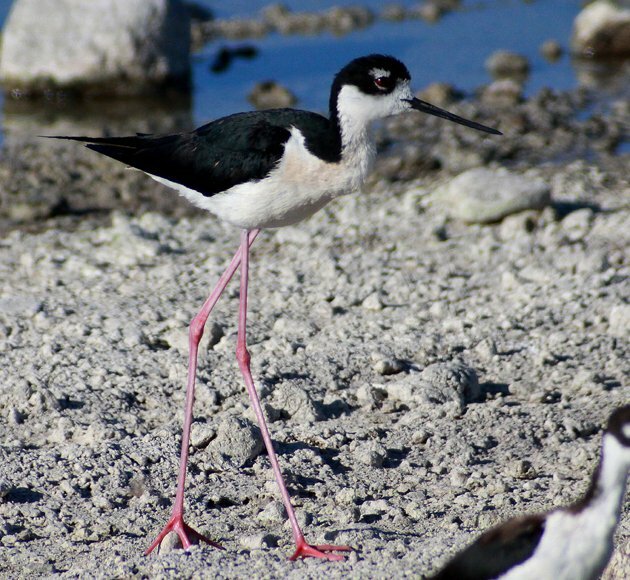 Avocets, Black-necked Stilts, and Spotted Sandpipers breed at the Henderson Bird Viewing Preserve. Upon my arrival, at shortly before the 6 AM summer opening time, I ran into a fellow birder, a biology professor from Arizona name Robert Borker. Once we signed into the preserve and filled out waivers that ensured we wouldn’t sue should we manage to hurt ourselves we headed off for a walk around the ponds. Though he was disappointed to hear that the Brant that he was hoping to spot had left a couple of days earlier he was still pleased to be out birding and I was pleased to have someone from the desert southwest along to make sure I didn’t flub any identifications as I sought out my two target birds, Lucy’s Warbler and Crissal Thrasher. The first really good bird we spotted for the morning was this Least Bittern, one of a pair that disappeared into the reeds once they realized that we had noticed them. The first stretch where the helpful guide at the preserve had told us to look for Lucy’s Warblers was disappointingly warbler-less but that didn’t matter so much as Robert spotted a Crissal Thrasher, which led to one of those hilarious situations where he was telling me he had a thrasher perched up on top of a tree while the bird I was looking at was clearly a mockingbird. I was really starting to question if he was really from the southwest when he realized that I was looking at a completely different tree. He steered me right and there it was, my first life bird in Nevada! This is a pretty darn bad picture of Toxostoma crissale but the light was against me and the bird was distant. It looked pretty darn nice through the scope though! One lifer down and one to go. In the meantime we were enjoying looks at waterfowl like Ruddy Ducks, Eared Grebes, and Redheads, as well as a couple of Lesser Scaup. American Coots tended to their downy young and a couple of coveys of Gambel’s Quail meandered across the trail. Flocks of Bushtits made their noisy way through the bushes and a large number of Yellow-headed Blackbirds, which easily increased by ten-fold the number of Yellow-headed Blackbirds I had ever seen, flushed from one reed-bed to another. Hummingbirds buzzed past often and Verdin called with regularity from the bushes and small trees. In other words, both Robert and I were having a great time! 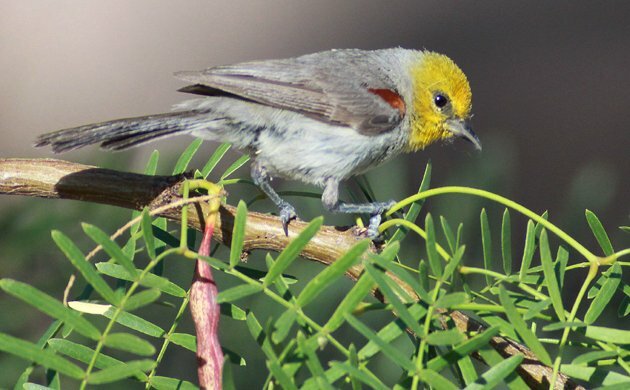 Verdin are so colorful they should be considered honorary wood-warblers. After enjoying the avocets and stilts Robert had to hit the road but on his way out he called my attention to a pair of Black-tailed Gnatcatchers, one of which took a break from what looked like either nest building or nestling tending to tee up and proclaim its territory. This Black-tailed Gnatcatcher was the first that I had seen in over six years. I missed them because gnatcatchers are awesome. In the southwest corner of the preserve I came across a small flock of passerines that took me awhile to sort through. Well, they weren’t so much of a flock as they were a group of birds all following their own foraging strategy in the same area. Blue-gray Gnatcatchers, Verdin, Bewick’s Wren and, wait, a Lucy’s Warbler! No, make that two Lucy’s Warblers! I spent a good twenty minutes with the birds and got some good views of the warblers but could not manage to get a picture. Eventually, the fact that I was standing in direct sunlight and was running short of time made me move on, but I was extremely pleased with my second lifer of the morning. After a full loop around the preserve I took a break by the hummingbird feeders at the visitor’s center. Was I ever glad I did, as a gorgeous male Costa’s Hummingbird was coming in to feed! 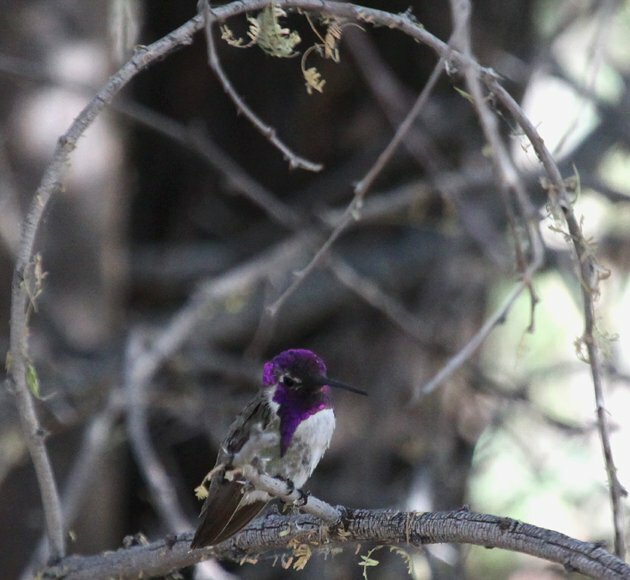 In addition to Costa’s Hummingbird the preserve hosts Black-chinned and Anna’s Hummingbirds in early summer. Later in the season more species show up. I started to do one more brief loop around the preserve, first texting Daisy back at the hotel to make sure I had a bit of time. I only got a few hundred yards before being informed that everyone was ready to leave for Lake Mead for a fun-filled family excursion there on a rented boat so I cut out while I could with the hopes that my timeliness would allow me more birding excursions on family vacations in the future! Black-necked Stilt is one of those species that needs no explanation for their common name. 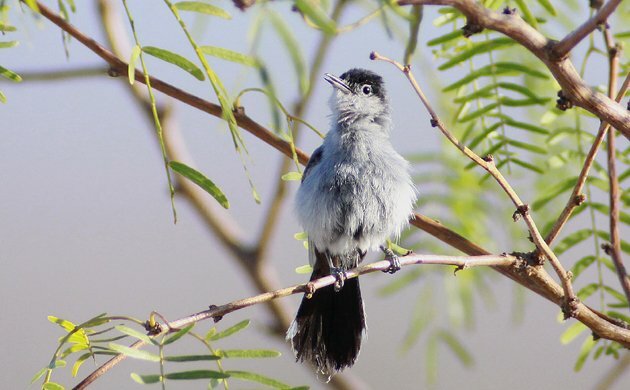 If you ever get the chance to visit the Henderson Bird Viewing Preserve you should definitely go for it. I have rarely spent a more pleasant morning birding and the fact that I checked off forty species in a little over two hours doesn’t hurt either. The preserve is top notch, the maps are good, and the volunteers and employees are knowledgeable and helpful. Get out of the casinos and into nature! 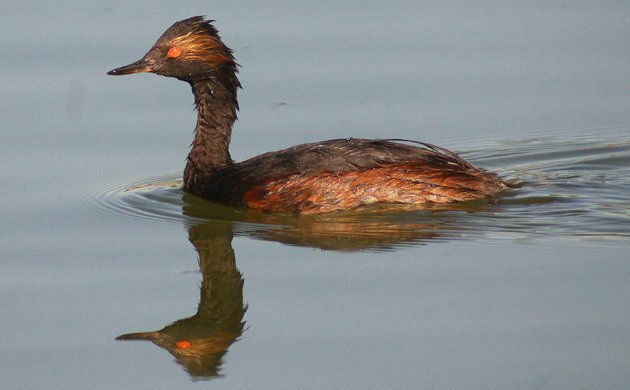 An Eared Grebe in breeding plumage should be enough to get you to the Henderson Bird Viewing Preserve all by itself. Wow, I’d go, just to see that Costa’s Hummingbird! I love the idea of a bird-rich area that could so easily go overlooked being rebranded as a bird viewing preserve. Come to think of it, I love the idea of a bird viewing preserve existing at all (particularly in the middle of the desert). 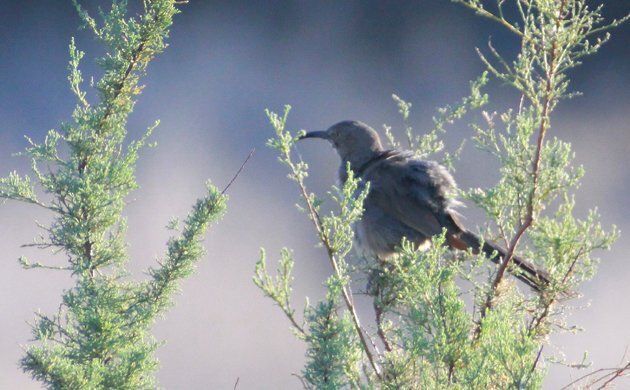 What is the State Bird of Nevada?